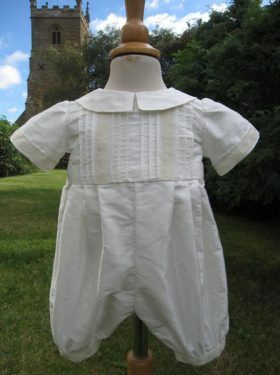 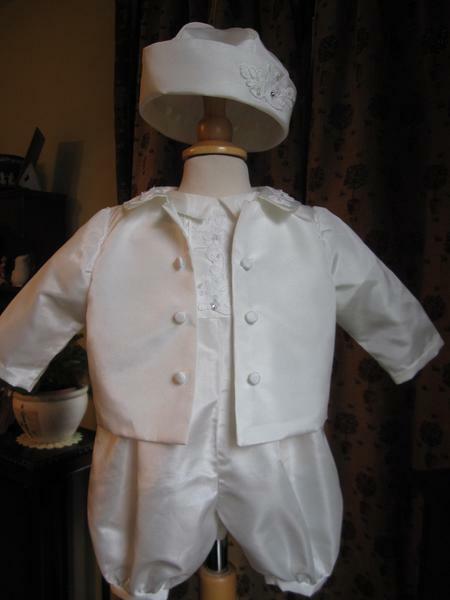 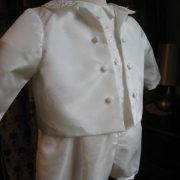 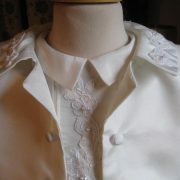 The Boys' Christening Jacket is a lovely addition to the Little Doves Boys Collection. 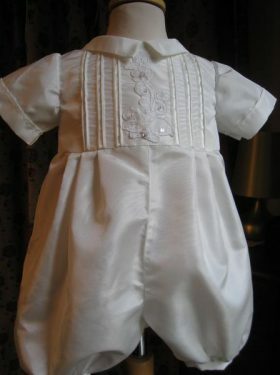 It can be designed to compliment any of the rompers featured within the collection but here we show it with the Hayden design. 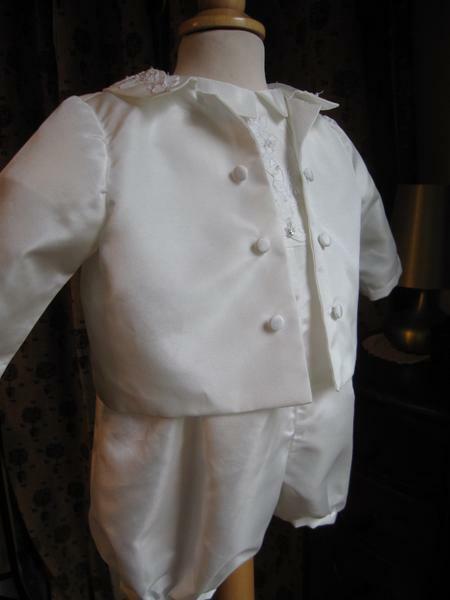 The jacket is simple in style, it has straight sides and the fronts meet without fastening so that the detail of the romper bodice beneath can be seen. 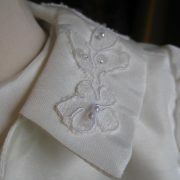 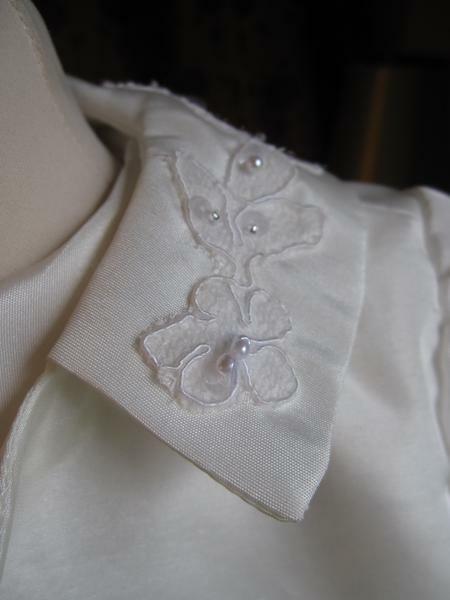 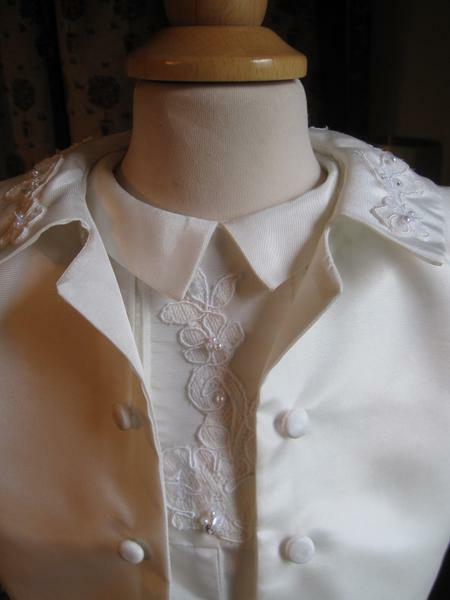 The collar is sailor style and decorated in the same style as the romper. 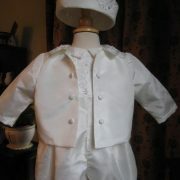 Just to let you know we received the outfit and put it on him, it fits like a glove and is absolutely stunning! 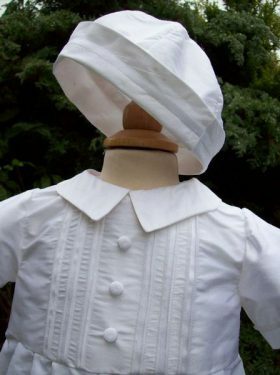 Couldn't be happier and the bib and bootees and hat are just beautiful, love, love, love it!!! 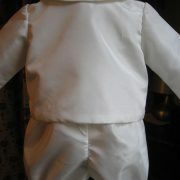 I will get lots of photos on Sunday and send some to you. 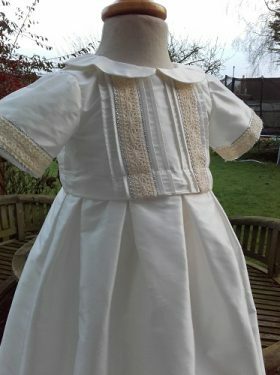 Thanks so much again, great customer service from start to finish, it has been a pleasure. 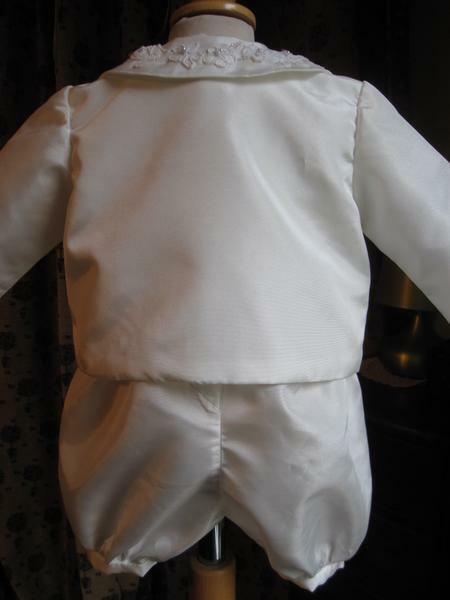 A lovely item to keep your little boy warm especially in winter baptisms.